A safe choice for all patients. Get your Medical Cannabis Authorization from a licensed primary care doctor with over 3 years of experience in the industry. We operate a fully licensed medical clinic, complete with malpractice insurance. Our success comes from providing patients with safe and confidential access to quality alternative healthcare, while providing them with the most professional support systems they come to expect. 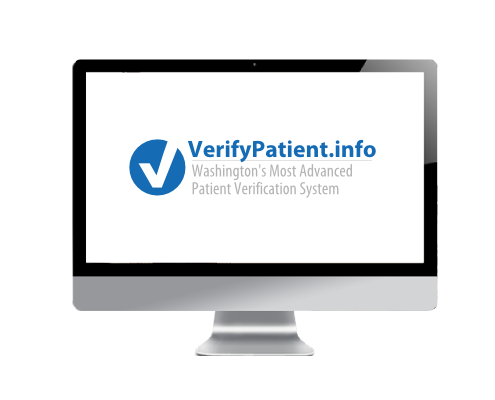 This includes providing our state-of-the-art HIPAA certified patient verification services. Legally compliant from the beginning. Since our inception, we have provided our patients with the most legally compliant medical cannabis recommendation possible. This means: we’ve never existed for the sole purpose of providing medical cannabis authorizations. We provide all patients with the tamper-resistant papers that the legal recommendation must be printed on. We do not do group consultations, do not provide consultations remotely, do not dispense medication and do not offer authorizations with longer than one-year expiration dates, as required by law. As part of our mission to deliver the most value to patients, we are the only provider in the medical cannabis space to accept health insurance plans for all office visits. Our clinic works with eight different health insurance providers, including some local providers in Washington State. Plans must cover Naturopathic visits. Our verification service is both online and staffed by hotline, 24 hours a day. Our patient database is completely encrypted to 2,048 bits and is housed in a HIPAA certified data center. We take every precaution in securing our patients’ data, providing them with absolute peace of mind.